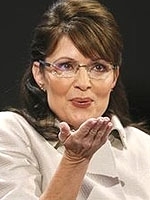 SEPTEMBER 5--So why did an associate of Republican vice presidential nominee Sarah Palin's husband file an emergency court motion Wednesday to seal all the documents in his divorce case? As followers of the Palin feeding frenzy know, the National Enquirer this week reported the 'incredible allegation' that Palin had an extramarital affair with an unnamed former 'business partner' of her husband. Once the politician's husband Todd learned of the purported affair, an Enquirer source claimed, he 'quickly dissolved his friendship and his business associations with the guy.' So when the blogosphere discovered today (via an online court docket) that Scott Richter, a Palin associate, personally filed a sealing motion in Alaska Superior Court, well, conclusions were jumped to. Was Sarah Palin named as the other woman in a messy divorce action? Well, since Richter's September 3 motion, a copy of which you'll find here, was denied yesterday, his divorce filings remain open to the public. And a TSG review of the 98-page file shows that the Palins are only mentioned in Richter's sealing request. According to the filing, Richter wanted the documents deemed confidential in a bid to cloak details about his home, workplace, and phone numbers because 'reporters and news agencies' were using that information to contact him. Richter, a 39-year-old contractor, noted that he is 'friends and land owners in a remote cabin' with the Palins and, as a result, journalists were intruding on the 'cabin life and private life' of him and his 11-year-old son.